Often when a business is looking to start, expand or re-locate, they look to a bank for a loan and may not be aware that there are other options. We offer businesses of the City and County of Peterborough an alternative to traditional lending. And it comes with the bonus of understanding, mentorship and support services. Peterborough’s business community consists largely of small enterprises and start-ups, characteristic of many rural communities. Taking the leap to start a small business can be scary and overwhelming, but our team can help simplify the process and help you through every step. Getting a loan from Community Futures Peterborough is different than going to a bank. We take your character, your drive and desire, into consideration when deciding who is the right fit for our loan program. We are the only lender whose decisions are made by a board of directors, consisting of your peers. Local business people review your application and speak directly with you to ensure that they fully understand your vision. We want to help you succeed. Our goal is to help create prosperity and economic stability in the City and County of Peterborough and we understand the important role that business startups play. Many of the large enterprises in the region were started in garages and with one person’s vision. We will help you foster the potential of your idea and walk you through the steps to get the capital you require. When Jordan Hale was considering purchasing an existing small business, she turned to our team for assistance with a loan. We helped her modify her business plan, complete her loan application and prepare for her interview with the loan committee members. As a result, Jordan is now the proud owner of Jewel Just Fine Wines in Warsaw. 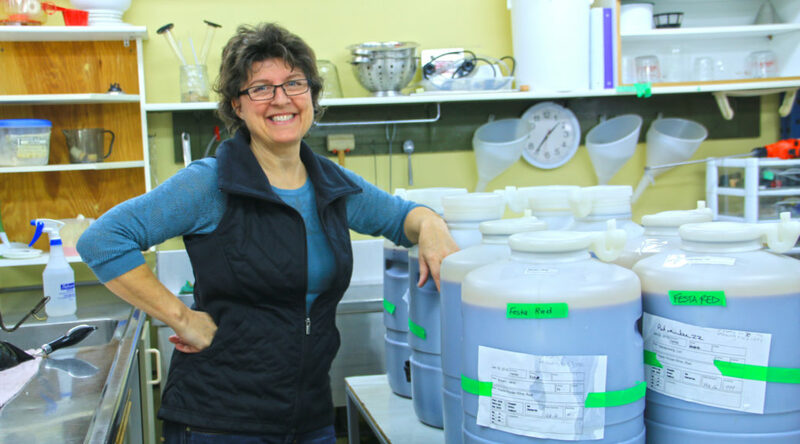 She now enjoys being an entrepreneur and helping people from all around the region craft their own wine in a variety of flavours. Our team is here to help you succeed, please contact us today to start the process of becoming your own boss!